White fused aluminum oxides, medical and standard grades available. High purity white fused aluminum oxide is available in both medical grade as well as regular sandblasting grades. 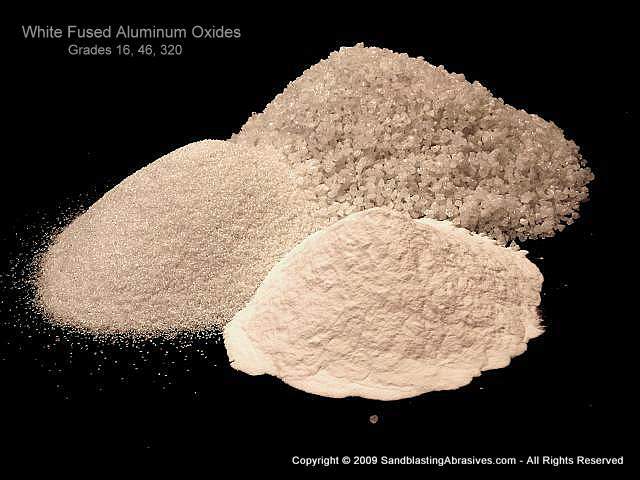 When contacting us for a quote, please specify which type of white aluminum oxide you require a quote on. Highly friable, will break down quickly exposing new edges.